February has been a 'lovely' month. 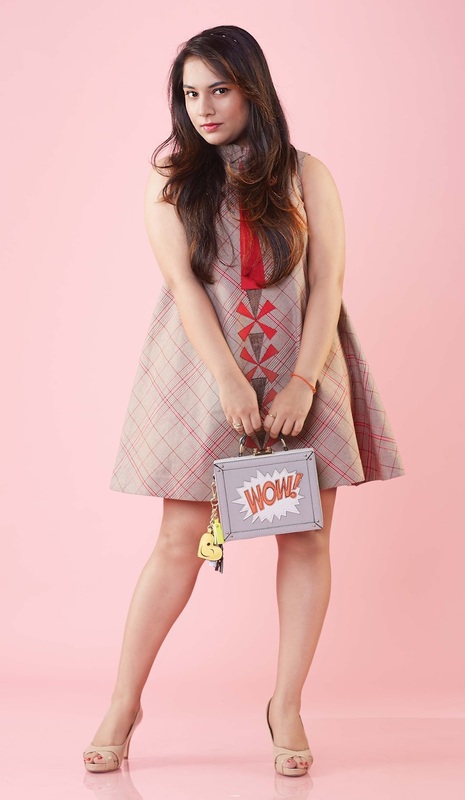 Apart from being the month of love and happiness, it gave us a surprise in the form of a fun and exclusive editorial shot for one of India's leading lifestyle magazines - New Woman. 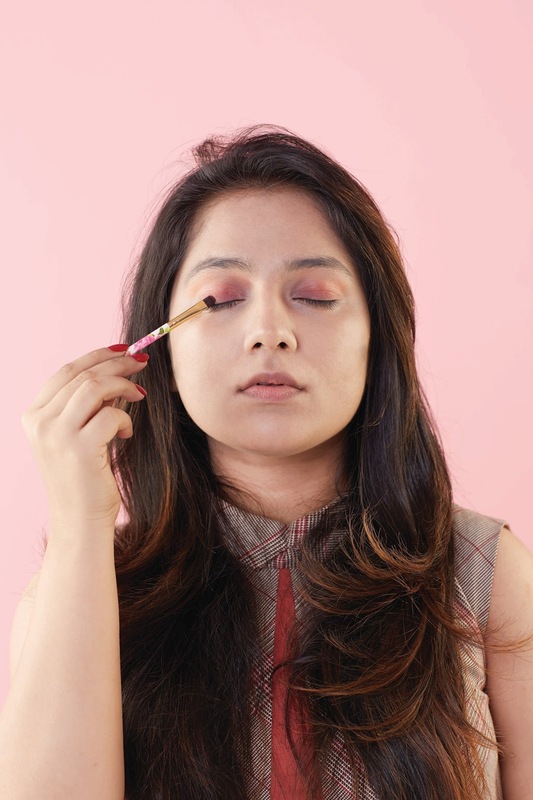 Keeping in mind the demand for easy make up tutorials for a special date, the amazing team at New Woman invited me to work on a step-by-step date look guide, for both day and night. It is perfect for those who want to go the minimal way and keep it simple yet chic for a special occasion. 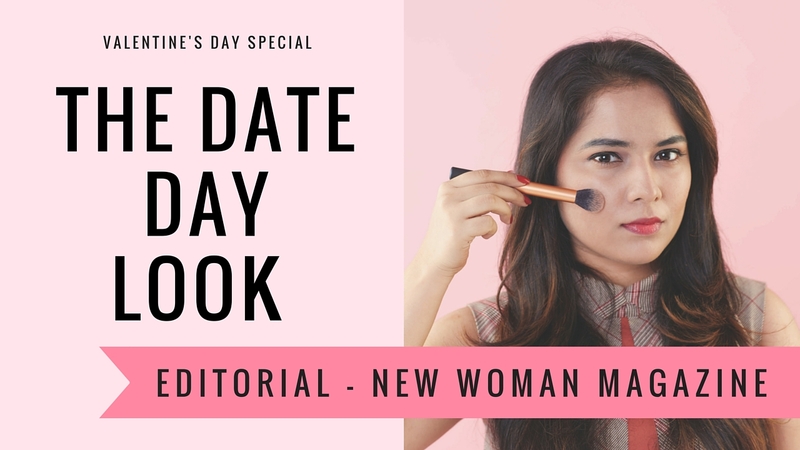 In this post, I will be decoding a special Valentine's Day date look, for a lunch date or day out with your loved one. Step One: Spray a facial mist on your face to let the make-up stay longer. I prefer using the MAC FixIt+. Two light pumps are enough to keep your face hydrated. Step Two: Start with the base. I have mixed two shades of Revlon Nearly Naked Liquid Foundation - Fresh Beige and Shell. Mix a small quantity of both the shades and with the help of a brush, spread it evenly all over your face. Ensure that your face looks even and natural (we don't need a cakey look). Step Three: Time to conceal blemishes and those pesky dark circles. I prefer using the concealer after using the foundation (tip: it helps save a lot of your product). Mark those blemishes and areas that you want to conceal. Blend it well with a blending brush or sponge. I have used the L'Oreal True Match concealer. Step Four: Use some pressed powder foundation to set the base, and to ensure that there is no trace of sweat or grime. I have used the MAC Studio Fix pressed powder. Ensure you use it well on the t-zone with the help of a powder brush. 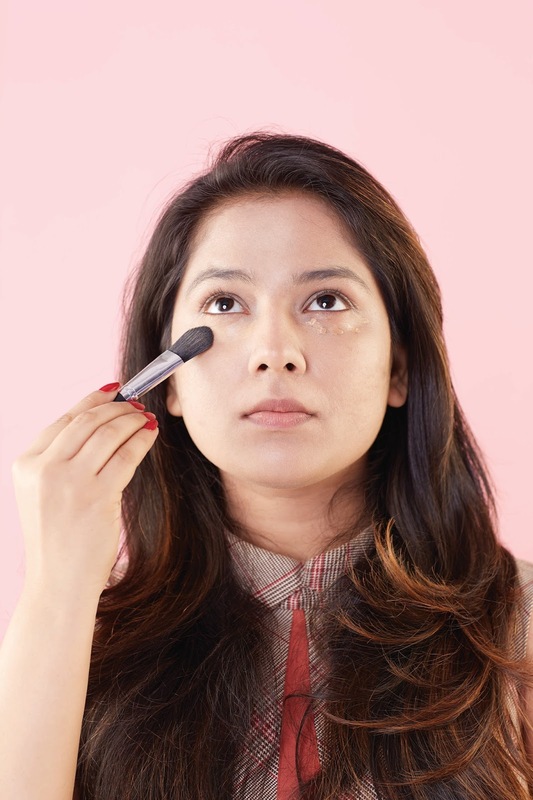 You can skip this step if you feel your base is perfect and doesn't need a final touch up. Step Five: Pick an eyeshadow hue that matches your outfit well. I chose a maple shade from the Sleek Matte Eyeshadow palette and applied it with the help of a brush. It was blended well with a silvery white shade from the same palette. I use my index finger for blending. You can use a brush as well. Tap off any excess shadow. 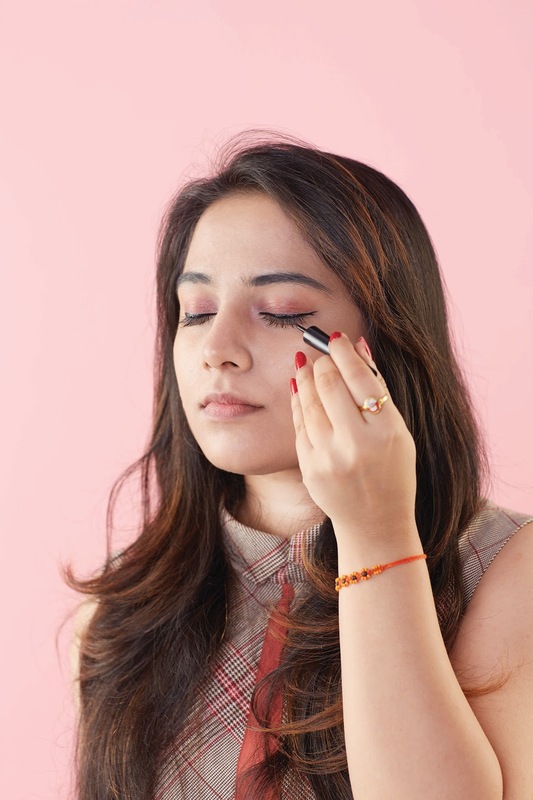 Step Six: Use a liquid eyeliner and wing it in a unique way. 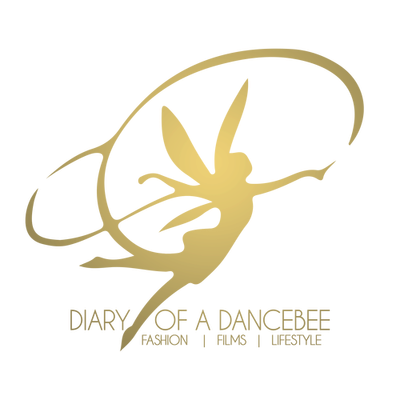 Split the ends of your wing into two, creating a twig. I have used the Lakmé Absolute Gloss Artist in black. The tip of this liquid liner is perfect for experiments. You can keep the line thick or thin, according to your preference. Add a little eyeliner on the inner corner of the eyes to open them up and to prevent your eyes from looking too pale. Step Seven: Work some mascara. I have used two swipes of my favourite - MAC Haute and Naughty Mascara, which comes in a dual-wiper system. I have used the defined brush here, to add a more natural look. 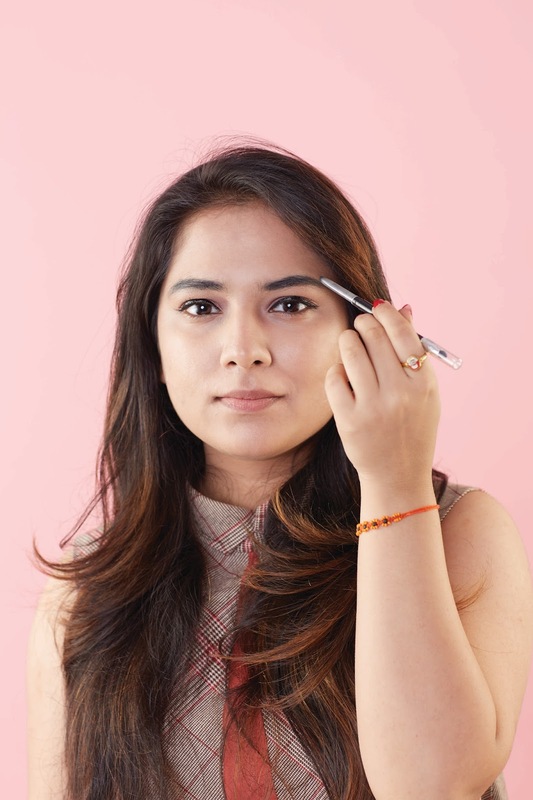 Step Eight: Use a brow pencil and fill your brows well. 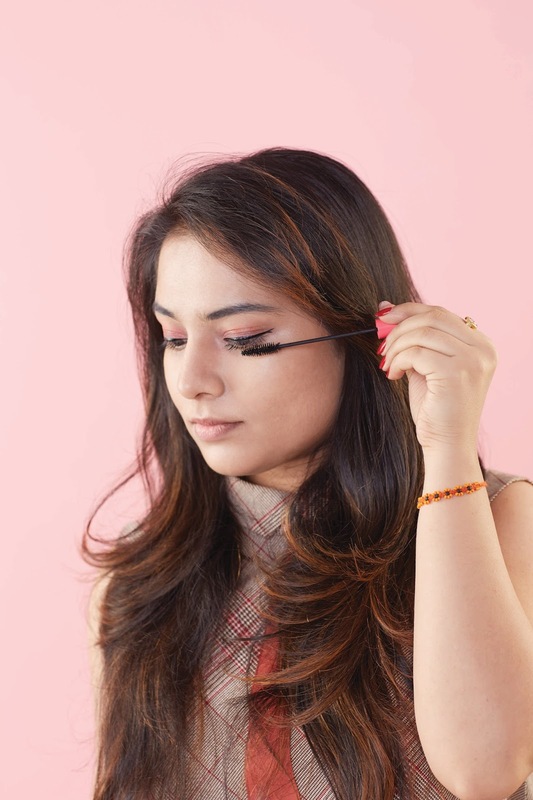 Likewise, you can also use an eyeshadow that matches the shade of your brow hair and fill them in. Step Nine: For my lips, I chose Clinique Chubby Stick in Pudgy Peony, which is a nice fuchsia pink. You can add a tinge of red and blend the two colours as well. I prefer blending this shade with Lakme's Absolute Gloss Addict in Red Delight. 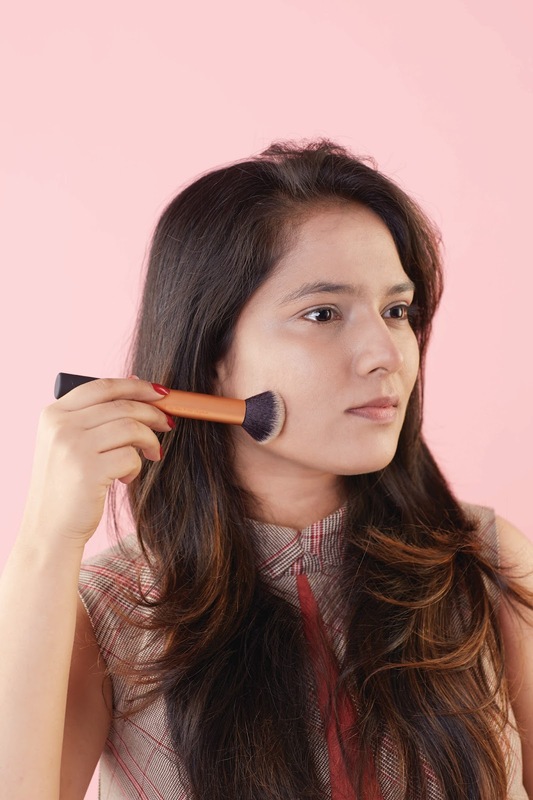 Step Ten: Use a blush that matches your skin type and complexion. 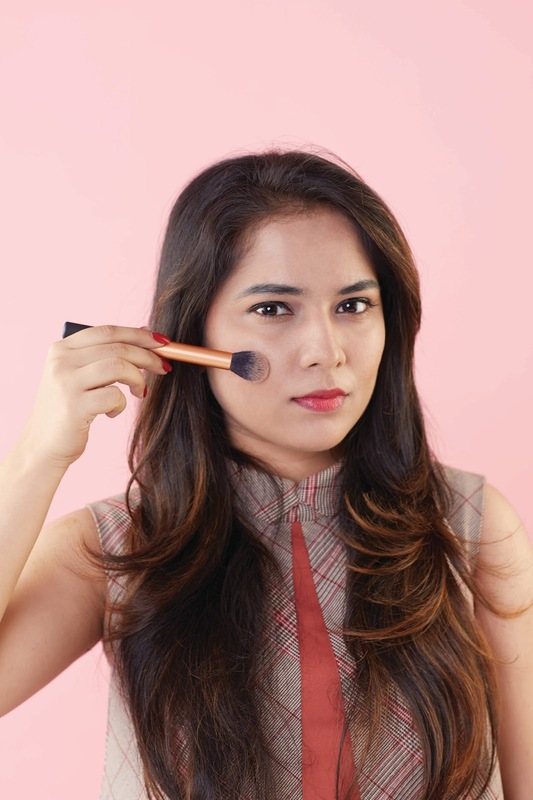 I like both cream and powder based blushes, but for this look, I chose the Clinique Blushing Blush Powder Blush. With the help of a blush brush, apply it in an angular motion, blending from the apples of the cheeks towards the temples. Step Eleven: Use an anti-frizz leave in on your hair to ensure there are no unwanted flyaways or frizz. Set it with the help of a paddle brush and blow dry it gently, or you can choose to keep it natural. Leave your hair open and accessorise it with a chic hairband. And there you go! All set for a lunch date with your loved one (or even a fun day out with your girl friends). We are huge fans of chic dresses that add some drama to an otherwise quiet afternoon date. Let us know how you like the look and if you will be trying it out this V-day. 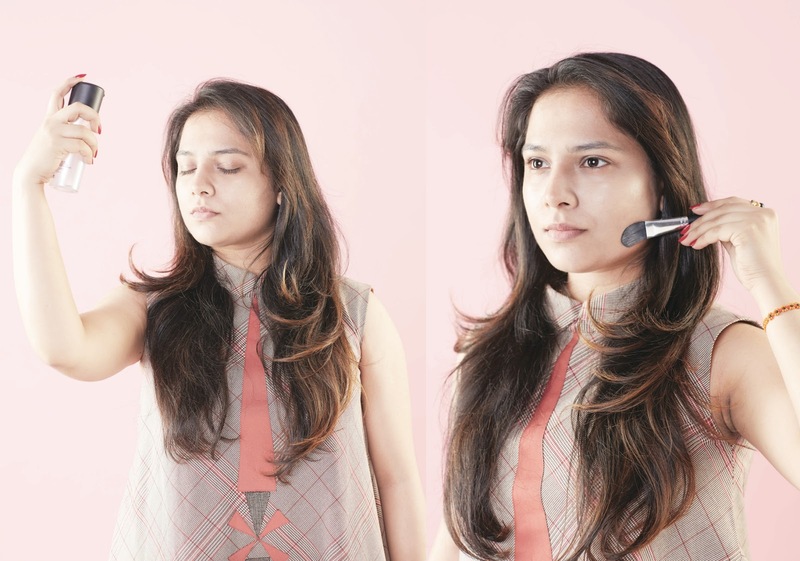 And do check out the full tutorial in the February issue of New Woman Magazine.